Suicide rates have generally remained the same for decades, with slight increases in some areas of the world. Basically, scientists and medics don’t really know how to effectively tackle this issue, so they’re considering more unorthodox approaches. A new study has found that classic psychedelic use may reduce suicidal thinking, ultimately dropping suicide rates. Image via Wine and Bowties. The thing is, several studies concluded that psychedelic drugs could have medical potential, and are not as damaging to the brain as previously thought. Now, Hendricks and his colleagues sed 2008 to 2012 data from the National Survey on Drug Use and Health survey of the Substance Abuse and Mental Health Services Administration of the U.S. Dept. of Health and Human Services, detailing the relationship between psychedelic (and other) drugs and suicide rates. “Mental health problems are endemic across the globe, and suicide, a strong corollary of poor mental health, is a leading cause of death. Classic psychedelic use may occasion lasting improvements in mental health, but the effects of classic psychedelic use on suicidality are unknown”, the study reads. “Lifetime classic psychedelic use was associated with a significantly reduced odds of past month psychological distress, past year suicidal thinking, past year suicidal planning, and past year suicide attempt”. 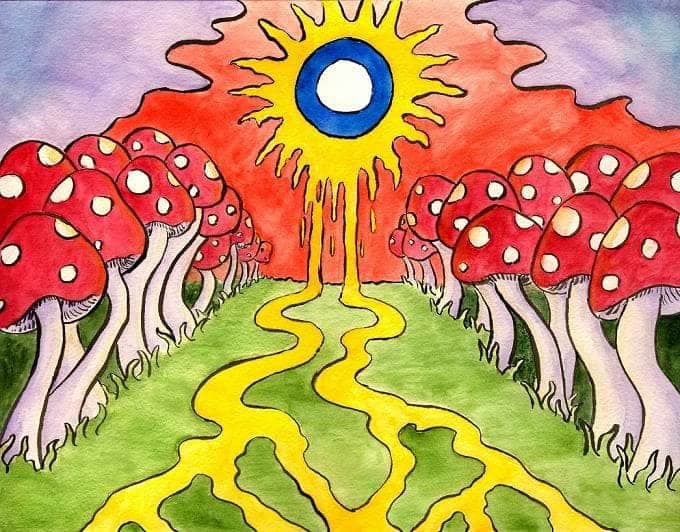 The type of psychedelics is also important – classic psychedelics (like “magic mushrooms” or LSD) are the ones which caused the improvement. Today, 500 million people globally suffer from mental diseases, according to the World Health Organization. A growing number of medical researchers seems to support the potential use of psychedelic drugs to treat and deal with these diseases. Still, despite this potential, such substances are grossly understudied, which is very strange to me. If you want to keep them completely banned and consider them as illicit, then you want to see what the negative effects are in detail, in order to justify the ban. If you want to use them for medical purposes, then you have all the more reasons to study them, right? “Classic psychedelics carry a contentious recent history and barriers to their clinical evaluation remain. Growing evidence including the present research suggests that classic psychedelics may have the potential to alleviate human suffering associated with mental illness,” the researchers conclude.